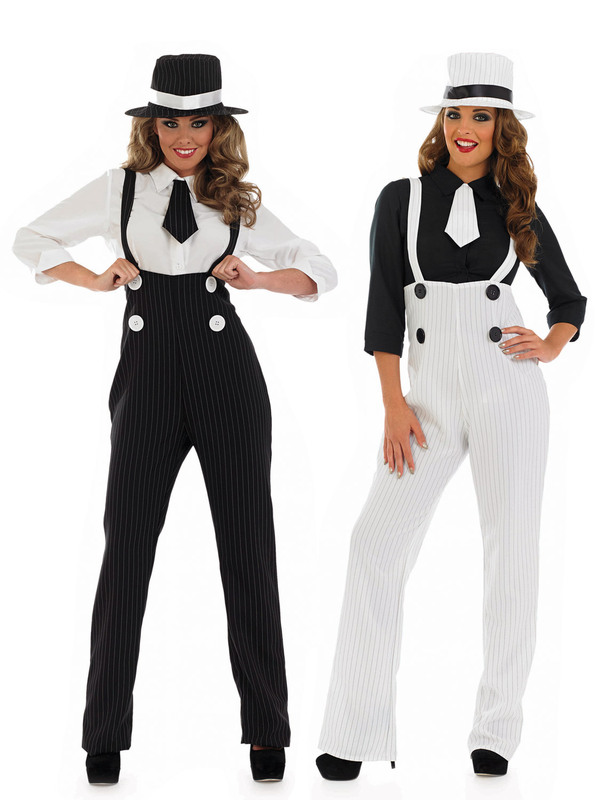 Stand out from the crowd of flappers in this striking pinstripe trouser suit combination! Includes a pair of high waisted pinstriped trousers in either black or white (choose from the drop down menu above), braces shirt and tie. Completing the costume is a matching pinstripe hat with contrasting ribbon. Team this with one of our fake jumbo cigars for the complete gangster look. The braces have an elastic section to allow the costume to fit a variety of different heights. The sizing on this costume is quite small and the trousers are not stretchy, so if you are near the top of a size range we would recommend selecting the next size up.